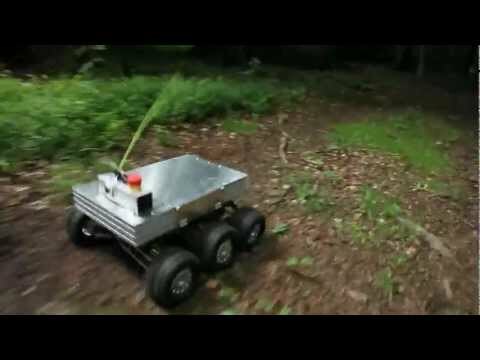 Summit XL HL autonomous mobile robot base has mecanum wheels for both indoor and outdoor uses. 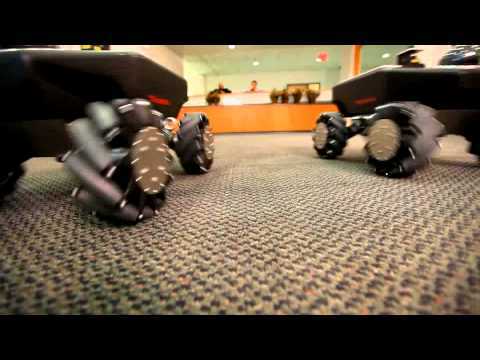 The UGVs mecum wheels can be easily replaced with regular rubber all terrain wheels. The embedded payload allows odometry using the wheel speeds and a high precision angular sensor mounted inside the chassis. The strong mechanical structure allows to carry heavy loads (up to 65Kg). There are several suspension shocks possibilities. They can also be mounted at several positions to modify the robot clearance. The robot has 4 high power motor wheels. Each wheel integrates a hub brushless motor with gearbox.